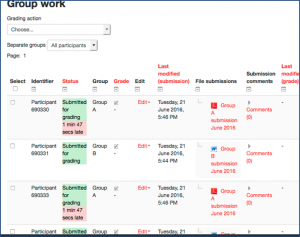 The process for handling group work is very similar to handling individual submissions. Before starting, make sure that the marking process is hidden from students – see Hide and release Grades and Feedback. Select the assignment and click View/grade all submissions to view the list of submissions. 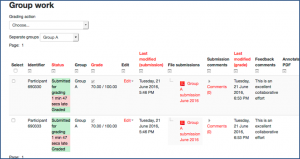 The example below has been set to receive a single submission per group – the same submission appears beside each member of a group. 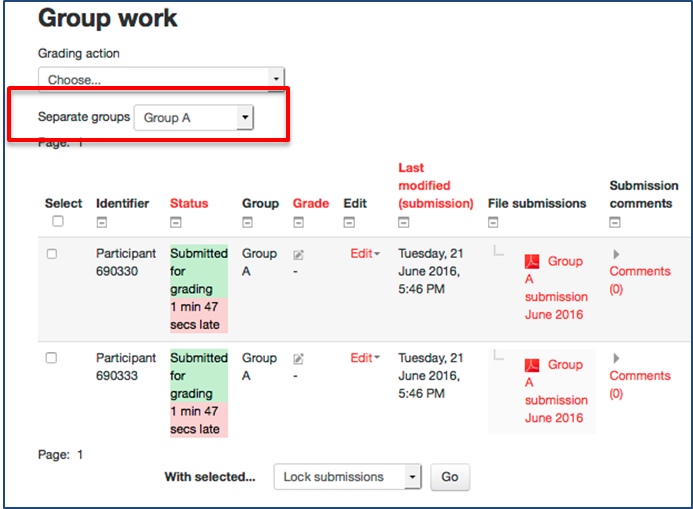 You can select a particular group using the group menu below Grading action. 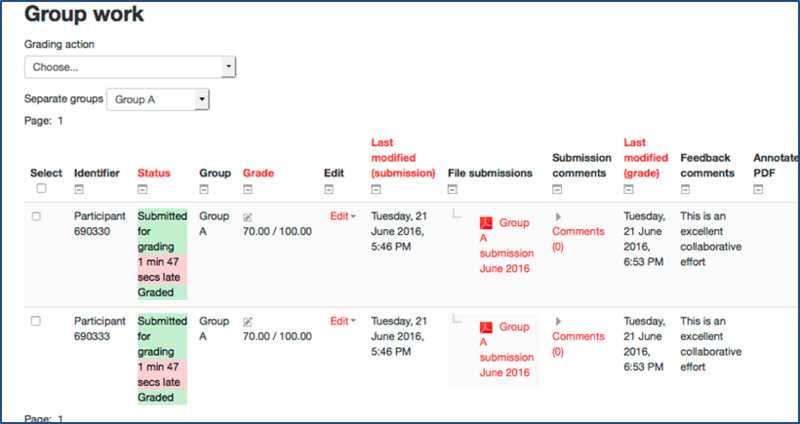 The most straightforward method is using the Grade icon in the Grade column of the submissions table because it provides the option to apply the same mark and feedback to all members of the group. 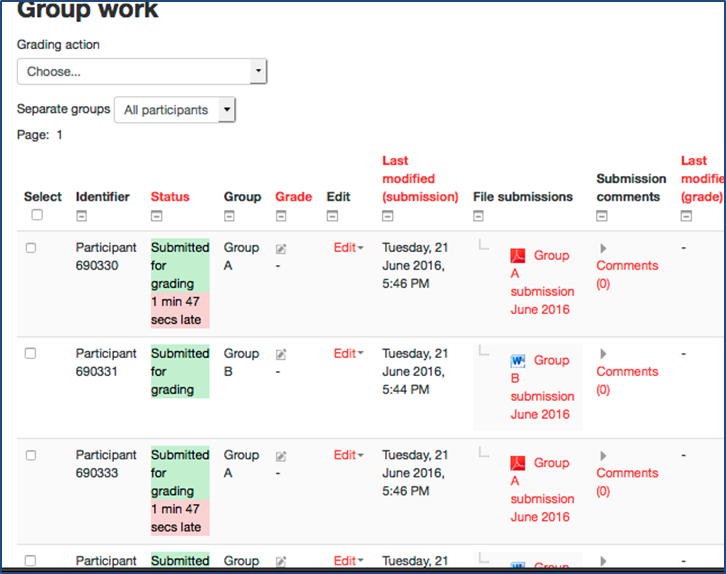 Having added a grade, comment and any feedback files, make sure Apply grades and feedback to entire group is set to Yes so all group members get the same result. 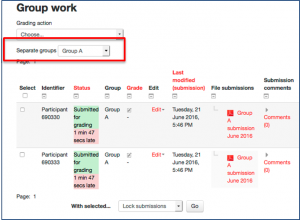 Save changes and return to the table where you will see that the same mark and comments have been applied to each group member. When marking is complete, make sure results are released to students as per Hide and release Grades and Feedback.